OK. I admit it. I like staying at Disney's Old Key West Resort. No, I LOVE staying at Old Key West. I was a little worried when they started "remodeling" last year. 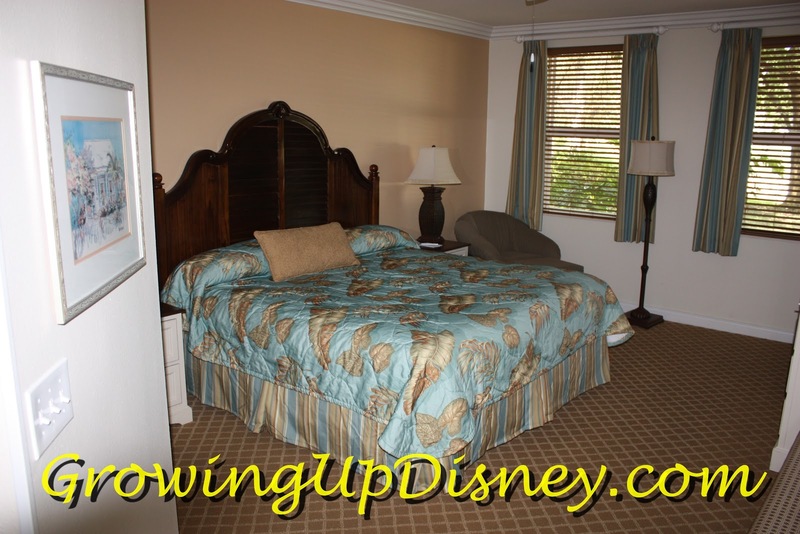 I was not thrilled with the pictures I had seen of the changes to the rooms. 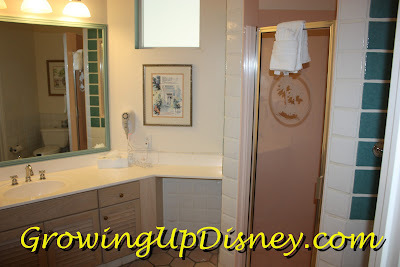 I liked the look of the "old" rooms. The door mats say "Welcome Home" and you don't mess with my home. Well for the first time in over a year, I visited my "Home" with a trip the first of May. For this trip, we had booked a one bedroom villa. 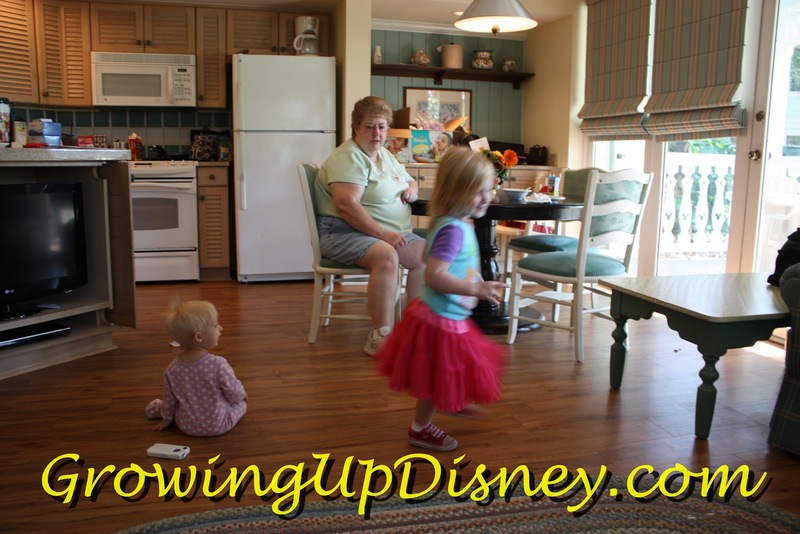 It was originally going to be a trip for Mom and me, but at the last minute Amy and our two granddaughters, Tink and Minnie, joined us. This is pictures of our room and our reactions. We checked in about 1pm and our room was ready. We didn't go straight to the room. Today Olivia's was our first stop for some lunch. Then it was off to find our "Home". 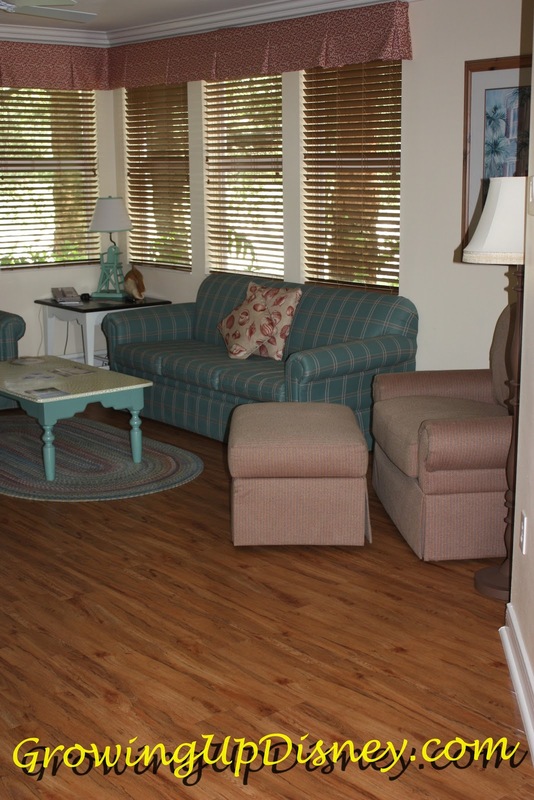 We found our villa in short order, after all we have been calling OKW home since 1993. (I always find it funny when I am asked if we have stayed there before when we check in.) 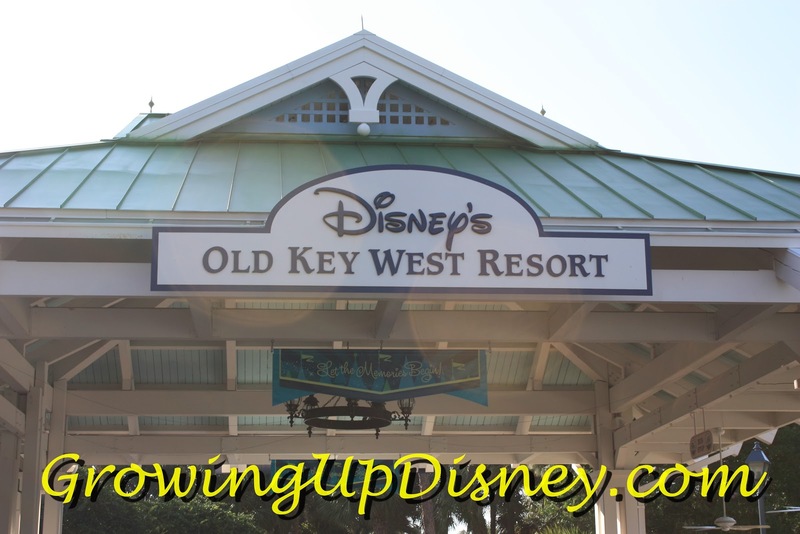 When we walk in, OKW always feels like Home, but this time it was a little different and we had to get use to the new look. Gone was the carpet in the living room, replaced by a hardwood-look floor. The furniture was much the same with just a change in fabric and colors. Also added to the living room was a braided rug under the coffee table and a new large chair and ottoman. The chair makes out into a single bed with very little effort and was perfect place for Tink to sleep. 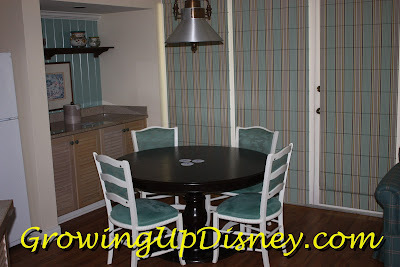 Once we stayed in one of the Family Suites at the All Star Music Resort. There was a similar chair that Ridge sleep on during our stay. After one or two nights, he sleep in the chair rather than making out the bed as it was very uncomfortable for an adult. The one at OKW, however, seemed to have a different mattress and it appeared to be much more comfortable. 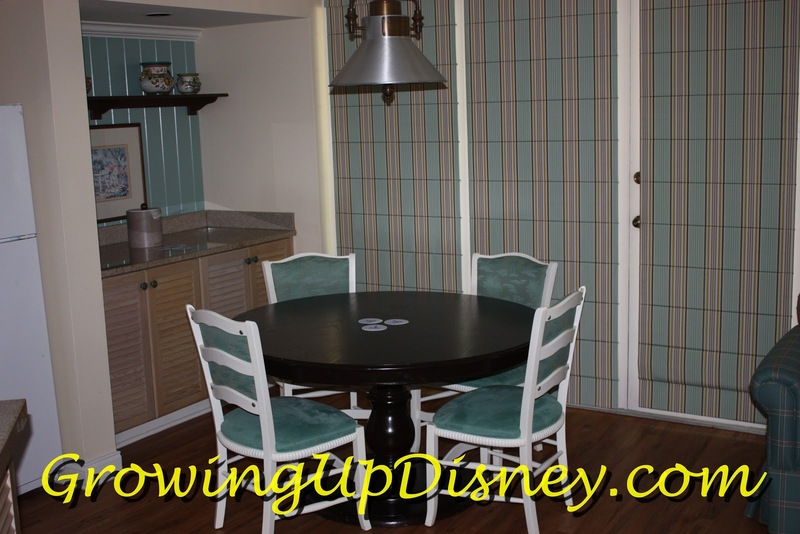 The dining area table and chairs had been refinished and reupholstered in a new fabric. The look was ultimately the same even with the dark color of the table that matched the color of the headboard in the master bedroom. 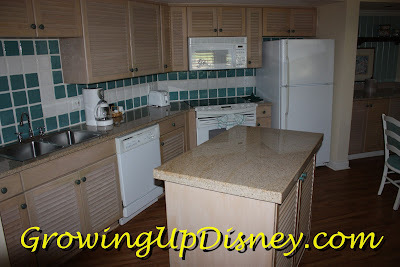 Also new in the kitchen was the granite counter tops. The tops should be very durable, but once again made very little difference in the overall look of the kitchen. The kitchen is still very functional and with its full-size appliances lends itself well to preparing a meal or just storing snacks. One thing we did do on this trip as well as our trip to Disney's Hilton Head Island Resort in January was to bring our Keurig coffee maker. The coffee pot went up on top of the refrigerator until after the trip was over when I moved it back to the counter. My favorite change in the decorations was this living room lamp. 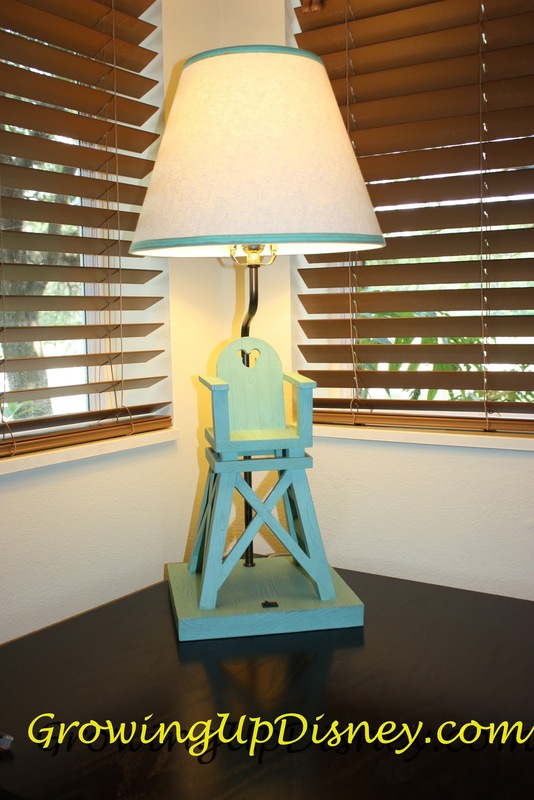 It is a lifeguard stand chair with the Mickey Mouse logo cut into the back. I would have liked to have brought this one home with me. The Master Bedroom has new carpet and exchanged the open metal headboard and foot board for a dark wood headboard. The side chair was upholstered in a different fabric but was otherwise unchanged. The bathroom appeared unchanged and to my wife's enjoyment kept the large Jacuzzi tub. While I enjoyed the large shower, that was also unchanged from the original. 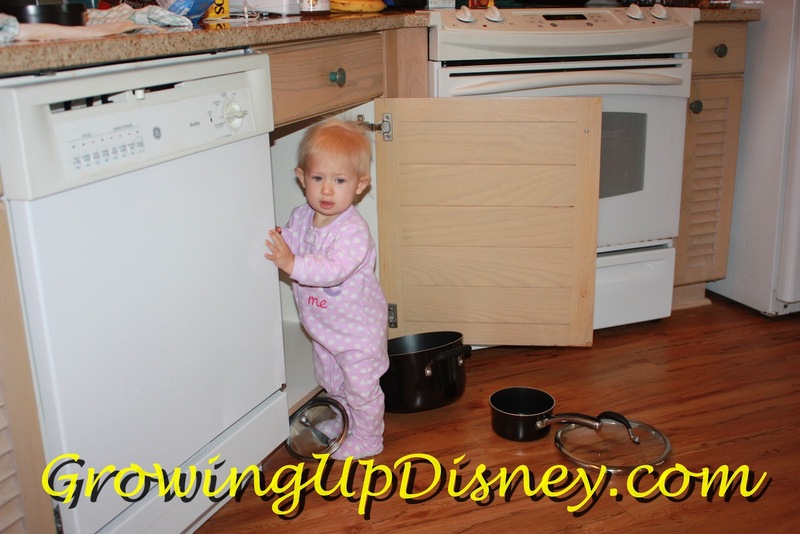 Minnie enjoyed the location of the pots and pans, but in her PJ's had a problem walking on the slick floor. Tink found the size of the room just right for spinning and spinning in her pink tutu. While Minnie liked the new flat screen TV. 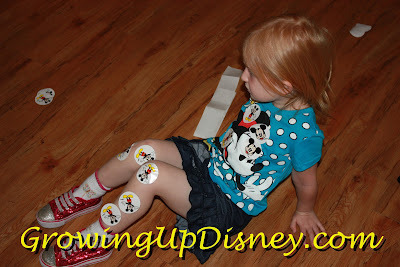 Without carpet, Mickey Mouse stickers wound up everywhere. 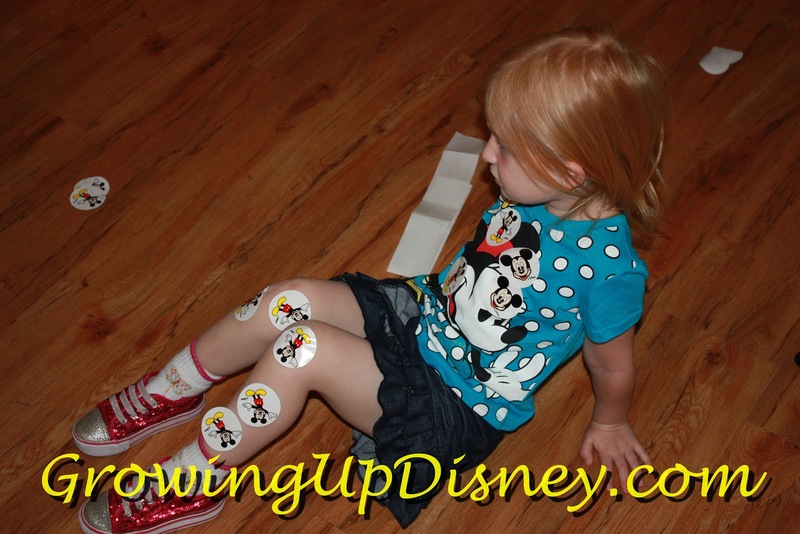 But Disney appeared to have done their homework and the adhesive on the back of the stickers did not stick well to the floor. It did not take much to peel them off, much like a sticky note. One thing I did notice was that the new floor was already showing marring and scratching from having to move the ottoman or coffee table to be able to open the bed in the chair or couch. All in all, even with the new decorations and colors, Old Key West still maintained most of what made us fall in love with the place when we first saw it in 1992. The updating was nice as some of the furniture was beginning to show its age because of the constant use. I feel that way about the Poly. I've been staying there on every trip save one for 28 years and every time they change something I am sad that they are chipping away at my memories! It's the catch 22 of Disney. We love that it is continuously improving and changing but it's also hard to let go of the past. I haven't stayed at the Poly in years but it's one I love to visit for a meal or just to stroll around. It's funny how you settle into one resort, and it becomes "home". 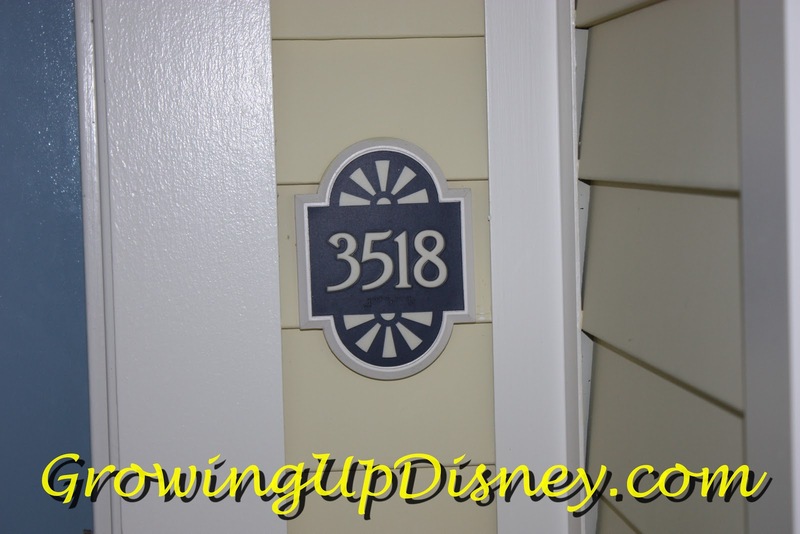 This is how we feel about Animal Kingdom Villas. 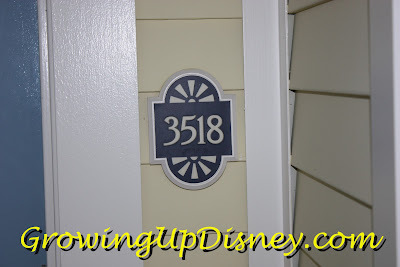 We did have the pleasure of staying in a Grand Villa at OKW last year. I, too, loved the living room lamp, and also had the same comment about the hardwood floors. To already be scratched up is a shame. It's a lovely resort. My only gripe would be the number of bus stops within the resort. While many complain about the long bus rides to AKV, we seem to prefer these to the numerous bus stops at OKW. Thanks for the review! I guess it's all what you get accustomed to. Since we've almost always stayed at OKW, the multiple stops don't usually bother me. On our last trip in May, we drove ourselves just about everywhere. Between a scooter and two strollers, it was nice to have our own transportation. However, when the girls are a little older, we'll be back at the bus stop. 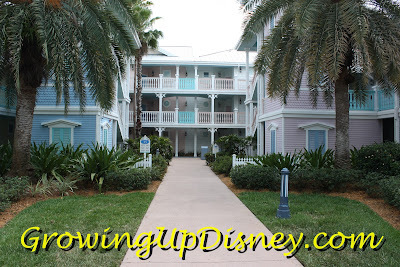 We had the pleasure of staying at OKW for the first time last fall (2011). We loved it! Probably because we were up-graded from a one bedroom to a two bedroom villa! For just two of us it offered plenty of room! We loved it. I found the hard wood floors to be nice and not as grimy as carpet can get. We also loved having our own washer and dryer. The only complaint would be that if you didn't have your own car geting to and from the hospitality house was quite a walk. But we had our car so it was no big deal. One other thing was that it was on the third level and we had to use the steps (which is why my husband thought we were upgraded because others didn't want to climb the steps), but again we managed. So we were lucky this time for the upgrade but think that we will always feel where ever we stay now will be small no matter what! 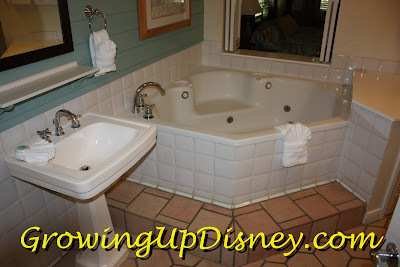 I will be staying at AKL in Aug. with my sister, with any luck we can get upgraded again? Thanks for the review. We just got back from a stay at the Treehouses - the uneven floors with the rocks were somewhat cooling - I liked not having the whole place carpeted. The hardwood seems like a nice touch to updating the place. But I'm surprised they didn't go for a lighter color. I've never been to OKW, but it seems a little dark for the theme.